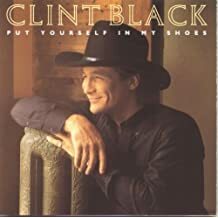 Clint Black lyrics and chords are intended for your your personal use only. He has many talents including being a country singer, songwriter, great musician on multi-instruments, record producer as well as an actor. He has had twenty songs reach number one on the charts most of which he wrote himself. Needless to say Clint is a very talented individual and his songs are fun to play and sing.